Pick up/drop off for dive trips and rainforest tours was super easy and convenient. The salt water pool was great! Nice selection of restaurants within easy walking distance. Location was great , good pool & bbq area . The breakfast basket was very nice . Very lucky to receive an upgrade to larger apartment which was great. 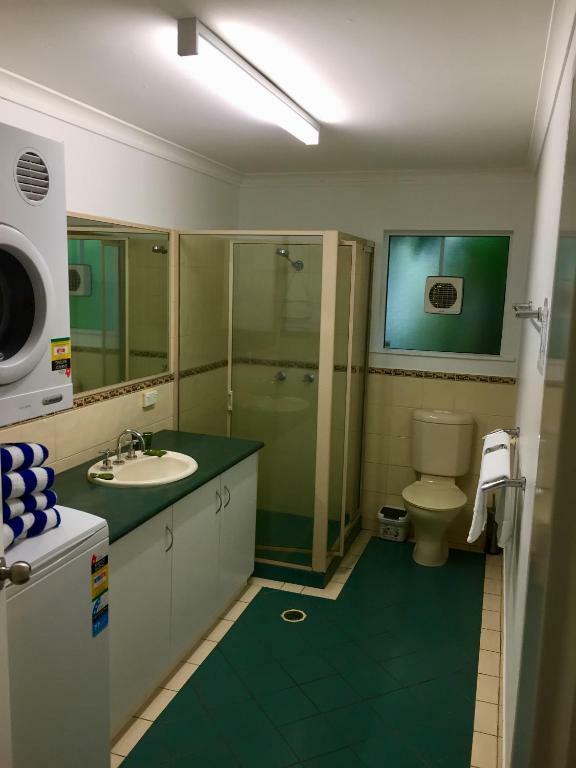 Very clean, well equipped inc washer dryer. Easy walk to wharf and town. Very quite. The apartment was very spacious and had a nice little private garden and patio. The location is also great as it's close enough that one can easily walk to town or to the beach. We would definitely stat here again! Friendly staff, walking distance to market . Clean Pool. Everything, Great location, excellent staff, especially Rosemary. She was very helpful and friendly. Apartment was very clean and well prepared for our stay. We are thinking to have another holiday there. 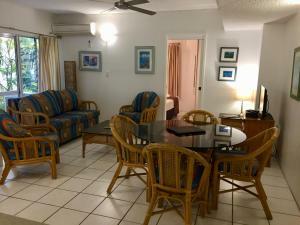 The location is great, being walking distance to the main street, shops, restaurants, marina and the beach. This was my 3rd visit to The Queenslander and it didn't disappoint. We were thrilled to be given a complimentary upgrade and the apartment was lovely, very comfortable bed and lovely balcony overlooking the pool. 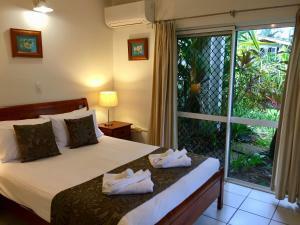 Lock in a great price for The Port Douglas Queenslander – rated 8.6 by recent guests! 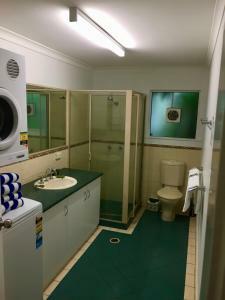 The Port Douglas Queenslander This rating is a reflection of how the property compares to the industry standard when it comes to price, facilities and services available. It's based on a self-evaluation by the property. Use this rating to help choose your stay! 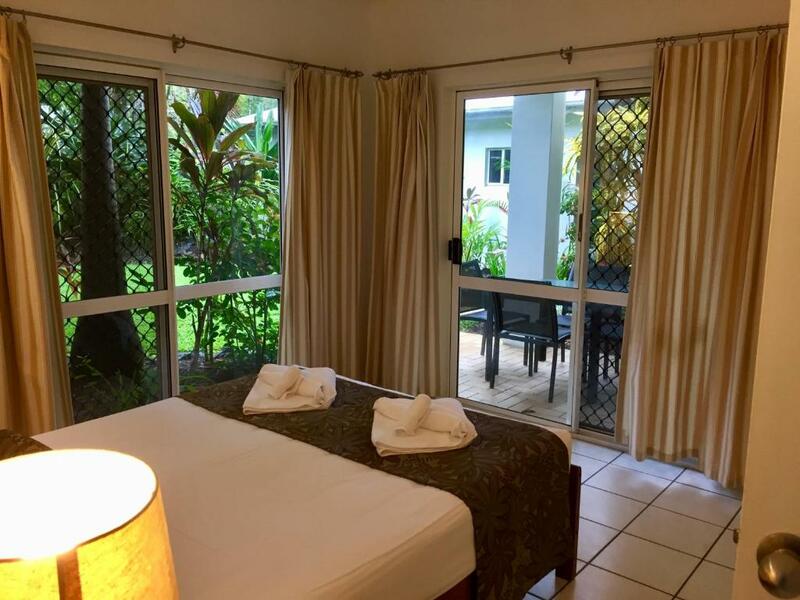 Surrounded by beautiful tropical gardens, The Port Douglas Queenslander is within 5 minutes' walk of Four Mile Beach, The Reef Marina and Macrossan Street. It offers a heated saltwater swimming pool and free WiFi. Each apartment features a private balcony or patio. Located in a quiet location, Port Douglas Queenslander offers relaxed holiday accommodations in a small friendly, family environment. Free on-site parking is provided. 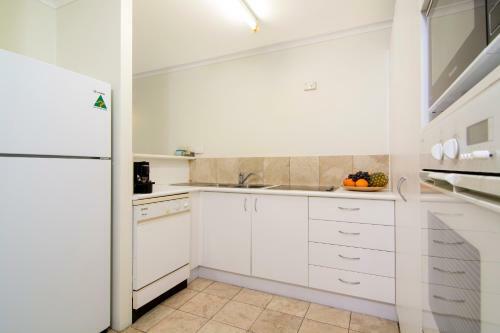 The self-contained apartments each offer a fully equipped kitchen, laundry facilities and a flat-screen TV with free satellite channels. 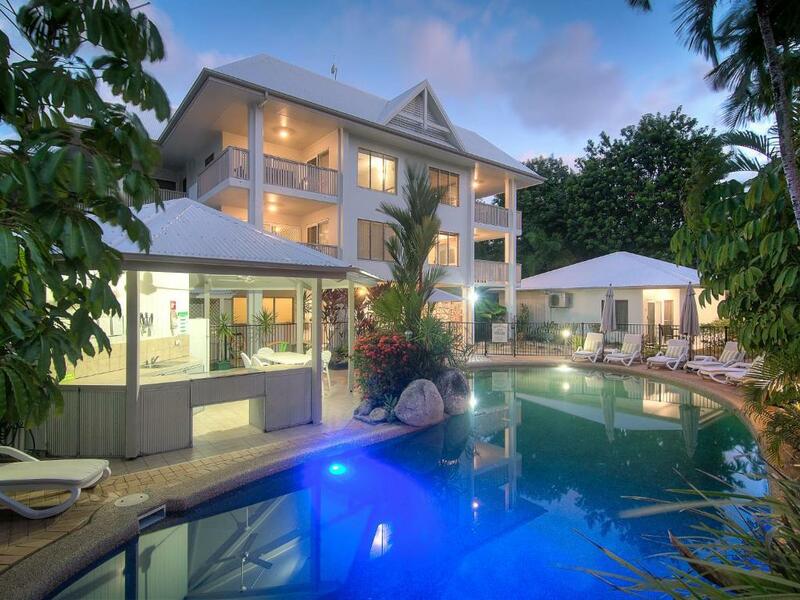 The award-winning Port Douglas Queenslander is located 37 mi from Cairns International Airport. An airport shuttle service is available upon request. 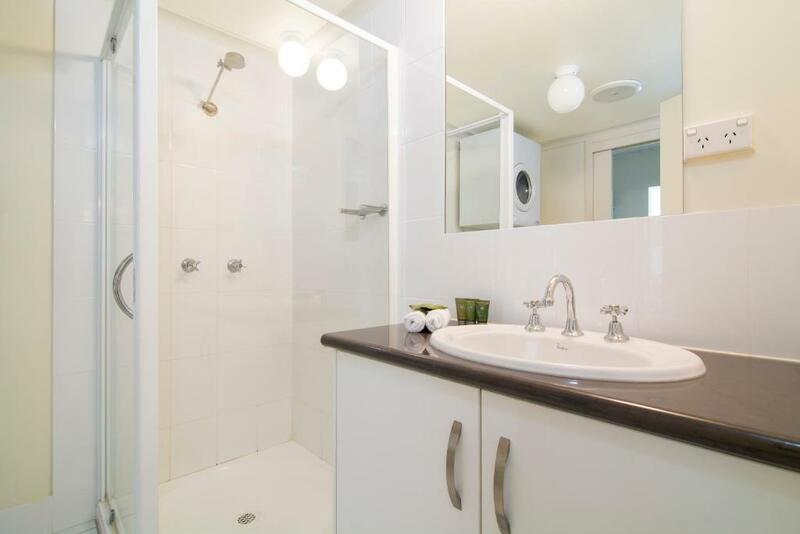 뀐 Located in the top-rated area in Port Douglas, this property has an excellent location score of 9.1! When would you like to stay at The Port Douglas Queenslander? The Port Douglas Queenslander offers relaxed and friendly fully self-catering accommodation, we are situated a short stroll from The Marina, Shops, an amazing selection of Restaurants and the beautiful Four Mile Beach. 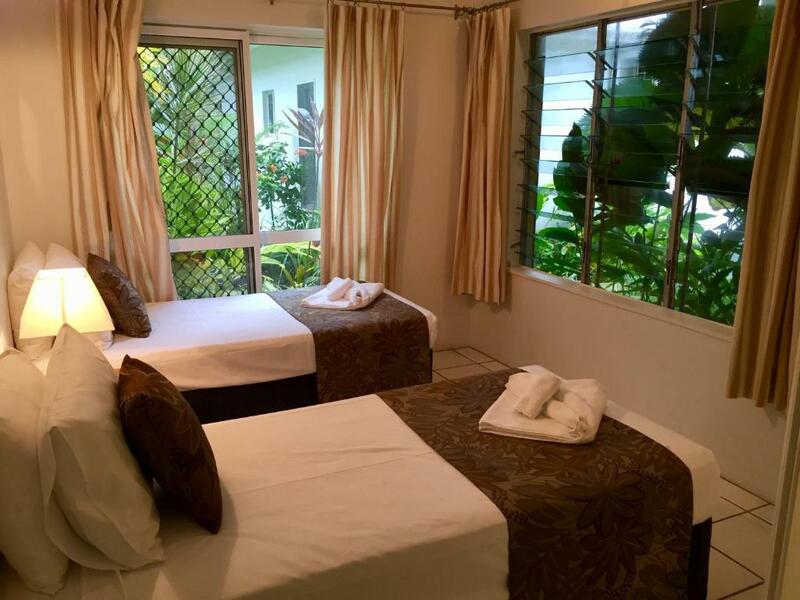 The Port Douglas Queenslander is run by a small family team – Rosemary, Damien and our daughter Steph, we are all here to help you relax and make the most of your time in beautiful Port Douglas. Let us help you have a fantastic holiday! House Rules The Port Douglas Queenslander takes special requests – add in the next step! The Port Douglas Queenslander accepts these cards and reserves the right to temporarily hold an amount prior to arrival. Please note that the apartments are serviced, including housekeeping and bed linen changes, every 7 days. Guests can request that their apartment is serviced more frequently at an additional surcharge. The oven was complicated to use and we gave up on it. The fan in the lounge was on the same speed and could not be changed or turned off. Spotlessly clean. Very well equipped. Excellent location. 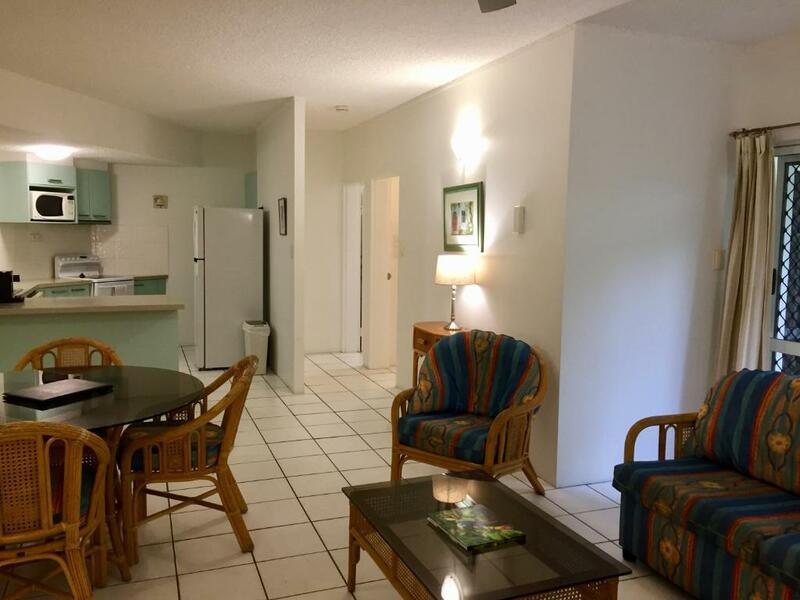 Great location, really nice apartment, with a lovely pool. Been there before and liked it so much we came back. Super convenient to walk to the shops and town. Pool is lovely, bbq facilities were great, and the staff are wonderful and super helpful. Would definitely recommend. Lovely place, easy walk to Macrossan Street, nice pool area with barbecue facilities. Sue was lovely! 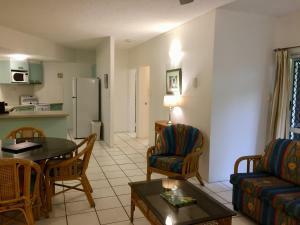 Large apartment, very clean, nice pool, great stay. Nothing except tv was challenging to operate and no movie channels. This is probably the best self catering apartment we have ever stayed in. The two bedroom apartment was spacious, clean and comfortable. The cooking facilities were excellent and to be able to cool off in the outdoor swimming pool after our journey was heaven. Some things could be updated... The showerhead was starting to rust and the TV was so outdated that you couldn't use a USB. Very spacious, the beds were comfortable and there were lots of little extras such as eskys and beach toys (cricket sets and sand toys). We have stayed here before, lovely place , handy for the shops, nice and quiet. We ordered a full cooked breakfast hamper, and it was great, good fresh food. The apartment is spacious, with full facilities, a real home from home.